Python costs: How much does it cost to keep a Royal (Ball) python? Royal pythons, or Ball pythons, make excellent first-time snakes but like all reptiles kept as pets they need controlled conditions to thrive. Learn how much that’s likely to cost. Pythons are one of the easiest snakes to look after but they do need very particular conditions to thrive. Creating those conditions may cost a fair bit. Therefore, it is important to consider the costs before deciding to get a pet python. Read on to find out what equipment you’ll need to create your python’s habitat and what having a python is likely to cost. In this article: How much is a Royal Python? | How much is a vivarium? | How much is a thermostat for a royal python? | How much is a UVB tube for a Royal (Ball) python habitat? | How much does a ceramic heat emitter for a Royal python cost? 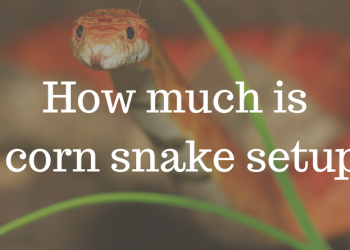 | How much is a basking bulb for a royal python | How much is a heat mat for a snake habitat? | Vivarium décor – how much will it cost you? How much is a Royal Python? A Royal Python costs between £40 to £200. 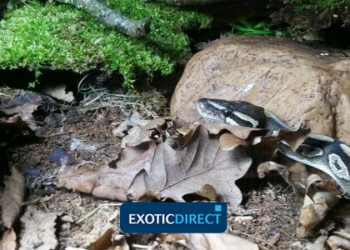 When owners are looking to rehome their snakes, they often sell their habitat equipment and vivarium alongside the snake, so you might be able to find a snake with a habitat for around £250 to £350. You might also be able to rescue a snake from the RSPCA. It will only cost you a small administrative fee and you'd be giving a snake a new home. How much is a vivarium? To build a Royal python habitat, first and foremost you’re going to need a vivarium. This is where your snake will live. A vivarium costs from around £60 to over £500. Reptile Centre has a wide selection you can browse through to get an idea of how much you might have to spend based on your needs. You have a choice of a sole vivarium or one equipped with storage space underneath - that might come in handy for your snake-care paraphernalia. This type of vivarium can be more expensive. The most expensive vivariums are usually multi-stack, enabling you to house more than one snake. For details on how best to set up your python’s habitat check out reptile expert Pete Hawkins’s advice. 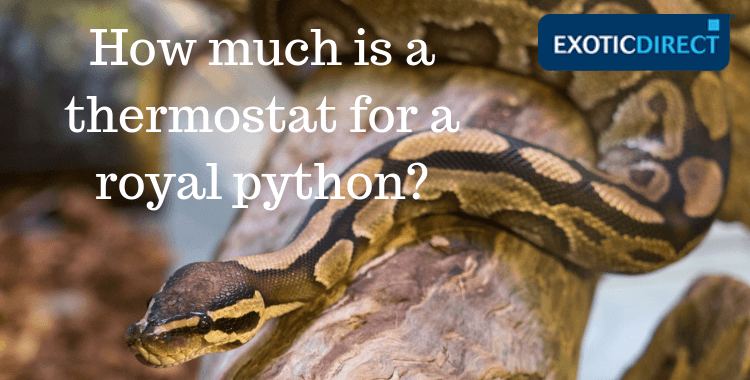 How much is a thermostat for a royal python? A thermostat may cost from around £25 to about £100. There are three types: on/off, dimming and pulse. The cheapest one is likely to be the on/off thermostat costing around £25. You can set it to turn on or off at the desired temperature and is most suitable for heat emitting sources. Dimming thermostats cost around £51. They gently increase or reduce the amount of energy they deliver which makes them well suited for light emitting sources. Pulse thermostats costs around £50 to £60. Pete Hawkins recommends that a dimming thermostat be used for light emitting sources; and a pulse thermostat for a ceramic heat emitter or heat mat. Such combined thermostats cost around £70. You can also get a thermostat that combines all three types in one. Pete Hawkins uses the Microclimate Evo Thermostat, which costs around £94. 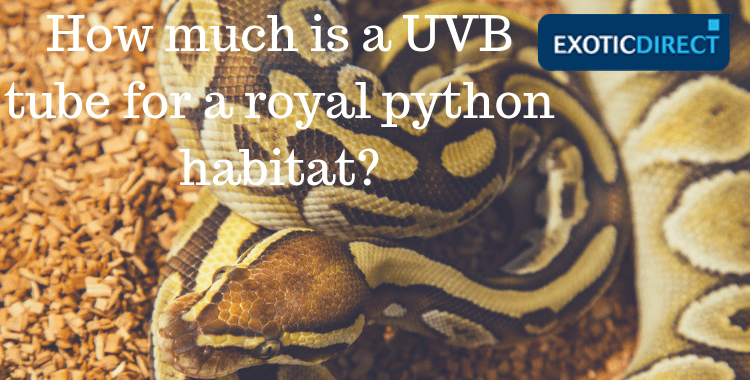 How much is a UVB tube for a Royal (Ball) python habitat? A UVB tube costs between £10 to a little over £50. There’s a lot of debate on whether pet snakes need UVBs, but reptile expert Pete is of the view that pet snakes need UVB lamps because they would be exposed to UVBs in their natural habitat. See what he says about snakes and UVB lamps here. UVB rays aid the production of vitamin D3 – the natural form of vitamin D which can only be synthesised through metabolic processes aided by exposure to UVB rays. Which ones you prefer to use to heat your python’s vivarium is up to you. Learn more about royal (ball) python heating set up here. Basking bulbs cost from £3 to around £12. Basking lamps help reptiles maintain a stable body temperature. They emit light and heat. An incandescent basking lamp will help to simulate a natural day/night cycle. How much does a ceramic heat emitter for a Royal python cost? Ceramic heat emitters usually sell for around £25 to just over £70. Ceramic heat emitters don’t emit light, only heat, which is why they are usually used to provide heat in the night without disturbing the snake’s day/night cycle. If it doesn’t come with a guard, you’d need to purchase one separately as ceramic heat emitters get very hot and could burn your snake. Heat lamp guards cost from around £10 to around £30. How much is a heat mat for a snake habitat? Heat mats cost from around £15 to about £35. They come in many different shapes and sizes. Read reptile expert Pete Hawkins’ advice on heat mats vs heat lamps as the vivarium’s main heat source. Experts suggest that heat mats can be used as a source of gentle warmth for the vivarium, but you should follow safety guidelines and recommendations. Additionally incorrect use of heat mats can lead to burn risks. As a snake gets older it's recommended that overhead heating is used to maintain the right vivarium temperature and reduce burn risks. Substrate costs between £5 to £30. It mainly depends on the amount you buy. The type of substrate you use will affect the humidity of the habitat. For example, soul-based substrate is good for maintaining the right level of humidity. You can also create a bio-active substrate. For this you’ll need to introduce and promote the development of a living Eco-system, which means woodlice, meal-worms, morios, springtails. These are known as cleaner bugs and will help with the disposal of the snake’s waste. For more information on this, see Pete Hawkins’ reptile substrate and humidity advice here. 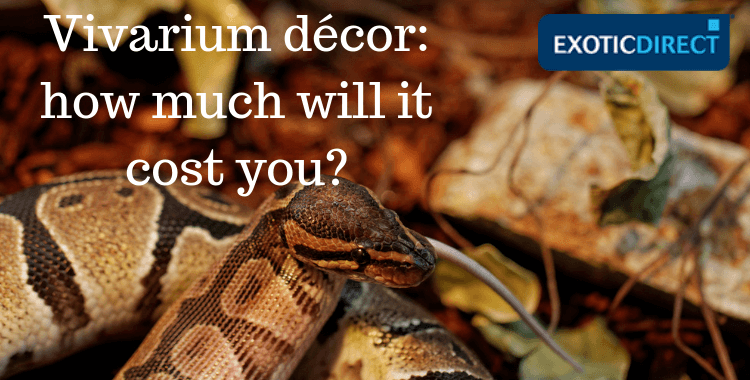 Vivarium décor – how much will it cost you? The price range for vivarium decor is from around £4 to around £15 per item. The amount you'll spend will be very individual and will depend on how big your vivarium is, how many snakes you have and your personal preference. You can browse and purchase vegetation and branches here. Water bowls cost from around £4 to around £35, depending on size. Pete Hawkins recommends a water bowls and a few branches so that your snake has somewhere to hide from the heat and the light should it want to cool down a bit. You can pick up fallen branches from places that are not polluted or treated with pesticides. To learn more about the details of Get a quote to insure your python for £1,000 of vet fees, death and theft. 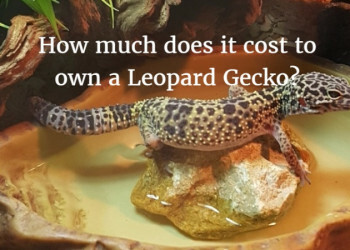 How much does it cost to own a Leopard Gecko?